International Family Law: Must Foreigners in the U.S. Always Carry Their Passport? Must Foreigners in the U.S. Always Carry Their Passport? Does a foreign visitor or resident need to always carry a passport while in the United States? 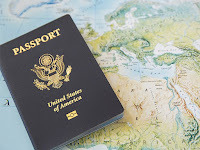 The question arises when, for example, a foreign parent wants to visit a child who lives with the other parent in the United States and the custodial parent asks that the visiting parent deposits all passports with an attorney to prevent possible child abduction. Thus, a visitor needs to carry a record of lawful admission, not a passport. The “I-94” is the usual record of admission for a visitor. The problem is that the I-94 is now usually stamped in the passport upon entry, so that it cannot be separately held. The solution is to print the I-94 from The Customs and Border Protection website. It then serves as the official record of admission. "A traveler lawfully admitted (or paroled) into the U.S. may print their lawful record of admission (I-94 form) from this CBP website. If someone requests your admission information, this is the form you would provide." Accordingly, it can be entirely appropriate for a custodial parent in such circumstances to require that all of the visitors passports be deposited with a court or an attorney prior to child visitation in order to help prevent international child abduction, and to explain that the visitor can comply with the law by printing and maintaining in his or her possession the I-94 printout.